As I write this, Malaysia Airlines Flight 370 and the 239 people aboard have been missing for almost two weeks. Maybe by the time you read this article, the flight has already been found. At this point, we have nothing: a big fat zero. Nature hates a vacuum, and the absence of information has caused oddball and conspiracy theories to flourish, each stranger than the last. One man has theorized that the airplane turned off its communications system, then snuck away by hiding inside the radar signature of a nearby Singapore Airlines 777. 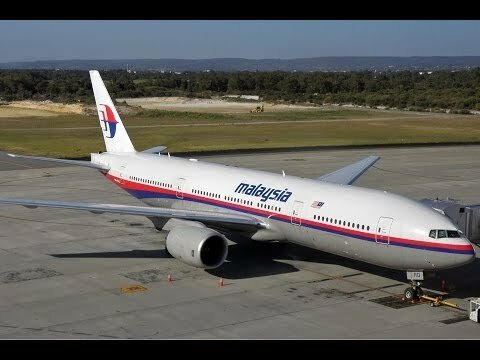 Modern airplane collision detection systems work off an airplane's transponder, so if Malaysia Airlines Flight 370 turned off its transponder, it could have (so he believes) flown right on the Singapore Airlines airplane's tail, thus showing up on radar systems as a single blip. Once Malaysia Airlines Flight 370 shadowed its way through the airspace of India, Pakistan, and Afghanistan, it would have split off and flown to its final destination. Which destination and why, he does not elaborate on this point. This theory may be possible in theory. But it would call for some crack flying, that's for sure. Courtney Love claims to have spotted the plane in the ocean, along with a nearby oil slick. Love apparently downloaded a lot of pictures off a satellite imagery site and started looking until she found what she thinks is the plane's wreckage. "I'm a little obsessive," Love explained. It's happened before. In 1988 the US Navy accidentally shot down a civilian airliner. In 1983, a Russian jet shot down a Korean Air Lines flight. Both of these accidents were big enough at the time that they could not have been covered up. But what if Malaysia Airlines Flight 370 was accidentally shot down where no one could see it? We don't know the jet's flight path, but a rogue jet could easily be seen as a threat. The people on the ground may have thought it had been hijacked and was about to be flown into a sensitive target, 9/11-style. Thailand's military reluctantly, belatedly released information about having spotted Malaysia Airlines Flight 370 on their radar. It took almost two days before they spoke up, saying basically that "No one asked us." But to a lot of people, this foot-dragging points to a possible cover-up. Sad as it is, we may never know.